On Nov. 2, the Bureau of Land Management started one of the largest roundups of 2016 at the Owyhee Complex in Northern Nevada (you can read more about the roundup here). As of this writing, an estimated 770 wild horses have been captured and seven have died. Altogether, the BLM plans to capture 1,600 wild horses and permanently remove 1,100 from the range during a two-part roundup that will stretch into December. Return to Freedom has found it essential to have humane observers at roundups in order to force maximum transparency and accountability. Having humane observers on the range enables RTF to press government agencies and contractors to fully comply with care and handling standards under the Comprehensive Animal Welfare Program and work with our colleagues to continue improving those standards. Documenting roundups also provides a key way to help policymakers and the public understand how tax dollars are often being misused to fund an inhumane, costly and ineffective system of removing wild horses and burros from the range and placing them in off-range facilities when on-range management alternatives may be viable. Thanks to your generous support, RTF has been able to place humane observers at nearly all of the helicopter roundups held by the BLM and the U.S. Forest Service in 2016. 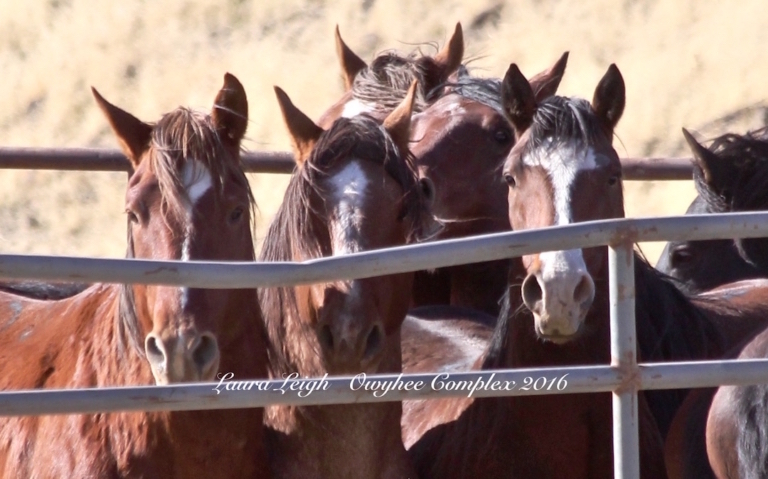 In addition to allowing us to keep the public better informed about what is taking place, the presence of humane observers with cameras enables us to press government officials into making changes for the safety of wild horses. During a recent roundup, for example, stallions were left crowded into a temporary holding corral and a contractor flew a helicopter dangerously close to fleeing horses at a recent roundup. Changes were swiftly made when RTF sent a letter of concern with photos to agency officials. The pressure placed by RTF, fellow wild horse advocates, and the wild horse-loving public over the years has resulted in an increase in more humane bait-and-trap roundups versus the use of helicopters. Make no mistake, RTF continues to argue strenuously for an end to roundups and make a case for humane, on-range management, like the aggressive use of fertility control, based on proven solutions piloted at its sanctuary. Until significant policy changes are made, humane observers remain a critical tool to improve the safety of wild horses. How you can help: RTF made the crucial decision to fund humane observers at the Owyhee roundup, which is taking place in a remote area with difficult terrain that has already yielded a broken windshield and flat tire. We need your support to keep observers on the scene, reporting in daily and looking out for our wild horses. Wild Horses need us on the range. Make sure we can be there by giving to the Wild Horse Defense Fund.